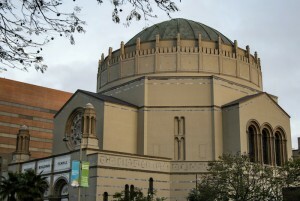 The Karsh Center is located in Los Angeles’ Koreatown neighborhood, which Wilshire Boulevard Temple has called home since 1929. Today, our neighborhood is among the most ethnically diverse and fascinating in the Western United States. It is also an area where many of the residents have intensive needs. 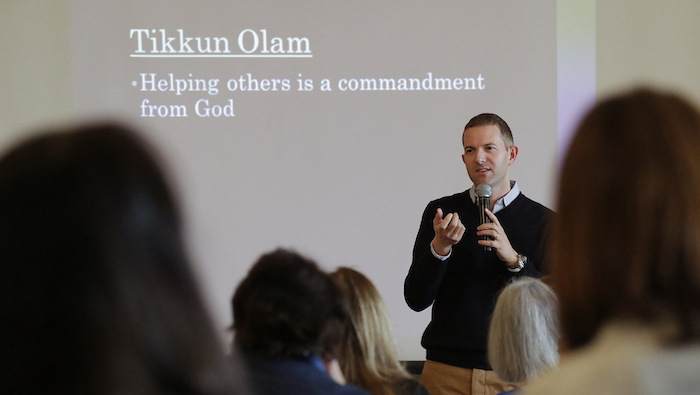 “The mission of the Jews,” Elie Wiesel wrote, “has never been to make the world more Jewish, but to make it more human.” If being a Jew means caring about other people, there is no better place to be west of Brooklyn than Wilshire Boulevard Temple. The Karsh Center is a permanent and tangible expression of Wilshire Boulevard Temple’s commitment to community service; it reflects our 150 years of cultural and civic leadership in Los Angeles. “Your temple is living proof that Los Angeles is a cosmopolitan city where the people of all races and creeds can join freely in community enterprise. I am confident it will continue to serve as a great moral force….” So declared Los Angeles Mayor Fletcher Bowron seven decades ago! Indeed, the legacy of community service and civic leadership continues at the Karsh Center of Wilshire Boulevard Temple. The Karsh Center itself is headquartered in a beautiful new 7,500-square-foot facility along 6th Street on our historic Erika J. Glazer Family Campus. Named after the Karsh family, longtime Temple members, the Karsh Center is designed to meet the intense needs of local residents by offering an array of cross-sector, integrated, and co-located social services. But our dream is that the Karsh Center will serve as much more than a hub for onsite social services. We expect the center to provide a catalyst for Temple members — from the children at our camps and schools to seniors seeking an opportunity to make a difference — to create or become part of other meaningful community service initiatives sponsored by the Temple. Build-a-Bike, Jews with Tools and The Big Give are just a few of the existing community programs that started as smart ideas and grew to make a difference for thousands of people in need. Do you have an idea? The Karsh Center can help bring it to life by connecting you with like-minded volunteers and social service organizations. Faith-based organizations have long provided social services. The Karsh Center aims to ratchet up the level of neighborhood support, creating a model for the 21st century. By integrating and coordinating a variety of services, the Center will maintain a platform for providers wishing to foster the highest level of care and case management for individual clients. Through the Karsh Center, Wilshire Boulevard Temple and local organizations will work together to offer comprehensive resources to the surrounding community in an easily accessible and culturally appropriate manner. The Center will seek to meet the needs of all clients and help them achieve success in their lives, building a stronger community and stronger families in the process. 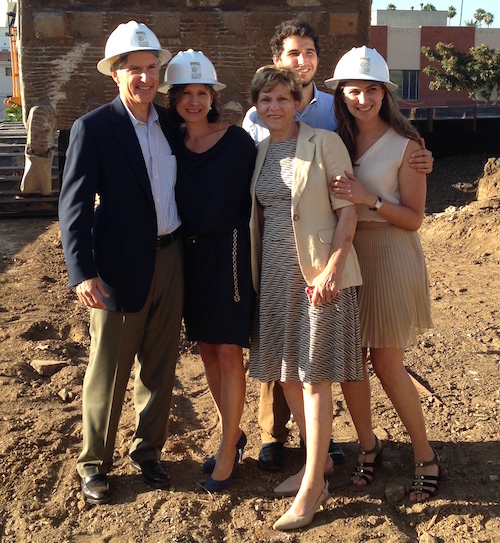 Bruce and Martha Karsh, longtime members of Wilshire Boulevard Temple, donated generously to help create the Karsh Family Social Service Center. At the groundbreaking in July 2014, Martha Karsh spoke movingly about the importance of tikkun olam — or social service – to her and her family. The Karsh family — including daughter Katie and sons Michael and Jeffrey and Jeffrey’s wife, Jacki — are especially proud of the Center’s Dr. Donald R. Lubin Eye Care Clinic. In 2013, while architectural plans were in development, Martha’s father, an eye doctor for more than half a century, died at age 88. To honor his memory, Katie came up with the idea of endowing a clinic in his name. The Karshes embraced her vision, adding generously to their original gift to endow the Dr. Donald R. Lubin Eye Care Clinic. Martha’s mother, Sybil Lubin, made a significant gift to support the eye care clinic in honor of Dr. Lubin, her husband of almost 60 years.